So glad you’re enjoying it– you deserve it!! I’ve always wanted to go to Hawaii! I’m hoping to go in the next couple of years for my 50th birthday. Kelly, I am on Maui. We opted to stay in Kehei because that is where the boat dock is where we leave to go scuba diving. It’s cheaper than Wailea where all the rich people stay, but not too far. We went to Wailea today to do 2 beach dives and it was so beautiful. The homes and hotels along that part of the highway are breath taking. In Kehei we are staying at the Sugar Beach resort. We picked it because it was a familiar place, it was clean and it’s right on ocean. The view is amazing and it’s really quiet at this end of the town. 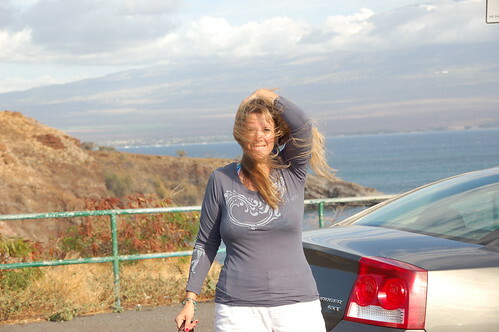 Right up the road is Lahaina and it’s beautiful as well. I love it here though because it’s the most laid back. Best place to eat breakfast is Kehei Caffe (spelled with two F’s)It was so good I nearly cried. Lunch is Coconuts. Dinner so far has been Moose Magillicuttys (sp?) they have a Taco Tuesday that will blow your mind.